When planning a Turkey itinerary that includes Mediterranean sea, there are three things to recommend: Spend some time getting lost; dive into the magical blue, learn the historical facts about this turquoise coast’s gulfs and bays. Ancient Antiphellos is a charming town with palm-shaded promenades and its picturesque peninsula reaching out to a Greek Island on one side and hosting a new marina on the other. Lycian tombs intermingle with carpet shops, restaurants and lively bars. A Byzantine amphitheatre overlooks the sea and is only five minutes’ walk from the marina, providing a perfect sunset location. 2) Göcek is ideal spot to start a yacht trip. The Gulf Gocek is ideal sailing area, Gocek is only 20 minutes to Dalaman airoport provides excellent logistics to yachting people.. Starting from Gulf sailing West, Ekincik is an ideal place to leave your yacht while visiting ancient Caunos. One should plan on spending a day there, to admire the scenery and the many ruins and famous Caretta Caretta beach. There are baths, a small theatre, a temple and a market place, all of Roman origin. Like a calm lake, the Bay of Marmaris offers excellent moorings. Marmaris was an important stage on the Anatolia-Rhodes-Egypt trade route. The citadel built by Suleyman the Magnificent in the 16th century sits on the hill behind the harbour. From a small fishing village it has rapidly grown into a bustling holiday resort. 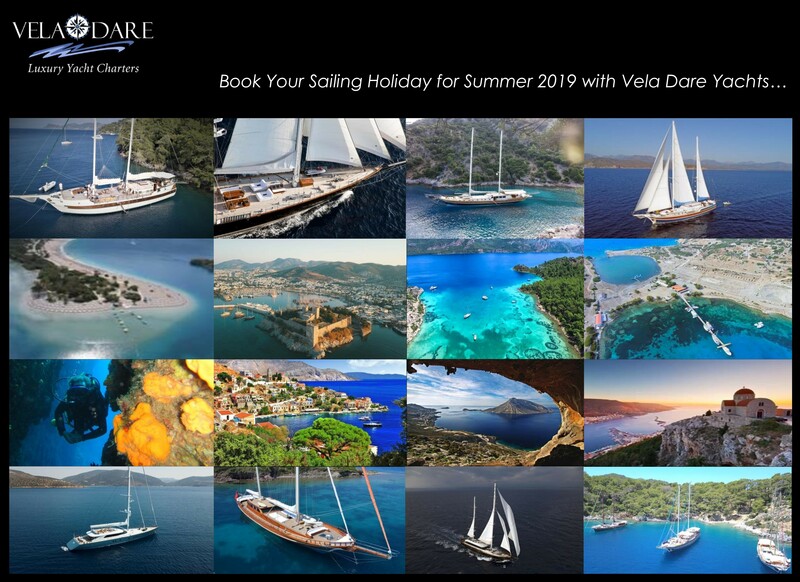 Yacht charters out of Marmaris has many alternative route options.